Target and ThredUP recently ended their pilot that exchanged consumers older clothing for gift cards. If you were hoping to exchange your lightly used clothing for Target gift cards though the retailer’s partnership with online consignment store ThredUP, then you’re out of luck: turns out, the test ended weeks ago. The Minneapolis Star Tribune reports that while ThredUP continued to showcase its partnership with Target on its website, the pilot program between the companies is no more. On Tuesday, ThredUP updated its website to reflect that the pilot test that involved 11 Target stores in Minneapolis has come to an end. 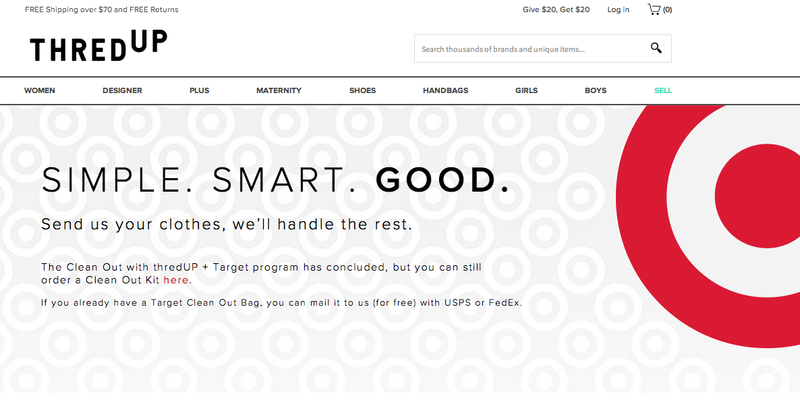 “The Clean Out with ThredUP + Target program has concluded, but you can still order a Clean Out Kit here,” the site states. A spokesperson for Target confirmed that the pilot test concluded at the end of September, despite a flurry of news and social media reports about the program. 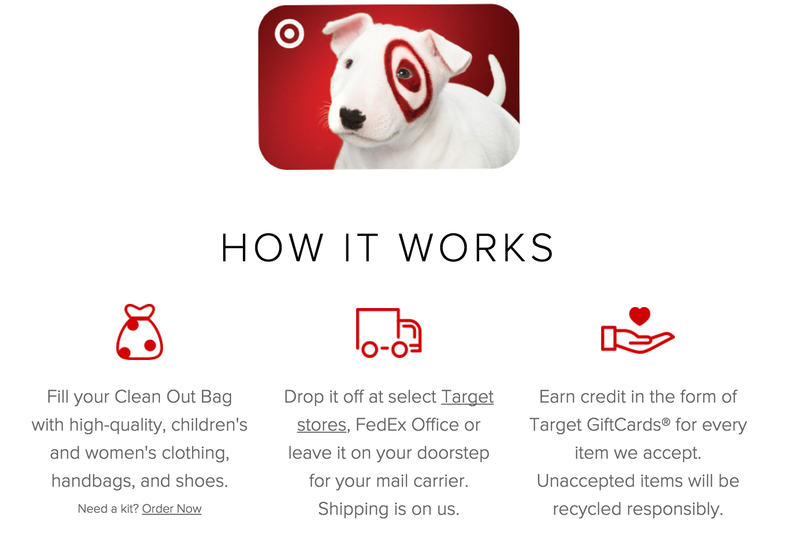 Customers who still have a ThredUP/Target “clean out bag” have until the end of November to send in their clothes to get a gift card to the retailer. The spokesperson did not elaborate on whether or not the pilot would resume or expand the program in the future. Target partnered with online consignment store ThredUP to offer customers gift card for their old outfits. Like ThredUP’s normal service, customers fill a clean out bag with their times and either ship it the consignment store or dropped them off at a participating Target. Once the items arrive at the ThredUP facility, they are sorted to determine what if any fit the site’s clothing needs. Items deemed to be suitable for the consignment store were to be awarded Target gift cards. Pieces listed on ThredUP for under $60 would be paid for upfront. Clothing and accessories that are unusable will be “recycled responsibly.” Consumers can always ask for their clothing and accessories back, ThredUP says.